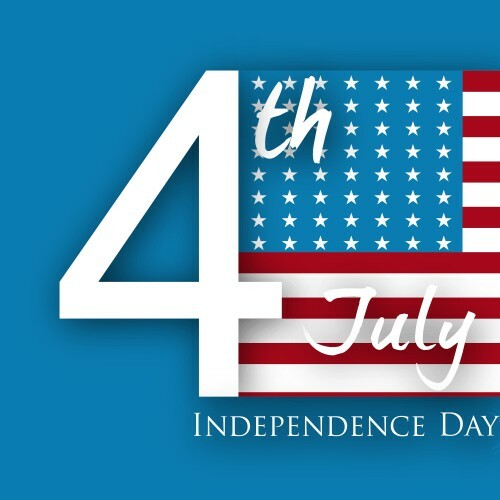 The Fourth of July is the perfect time to get together with family to bond and celebrate our nations freedom and federal holiday, Independence Day. The Fourth of July is also the most popular day for grilling across the country with Memorial Day in second place. According to the American Pyrotechnics Association, more than 14,000 firework displays will brighten the skies of the country on the Fourth of July. Our perfect Fourth of July event kicks off with the parade and local Fourth of July festivities. If you are planning a similar day, we recommend that you head out to the fourth of July fireworks destination immediately following your local parade to allow enough time to find the perfect spot and celebrate with family prior to the fireworks. However, make sure to prepare food, water and lots of sweaters as the day will get cooler towards the evening. Here is a list of our favorite places to check out the fireworks and have a safe & great time. Big Bear – Big Bear Lake’s Fireworks Spectacular will explode at 7,000′ reflecting its shower of brilliance over Big Bear Lake on Friday, July 4th. Big Bear Lake Fourth of July celebrations has abundance of events, recreation and activities. Fontana – After a couple years off, the fourth of July festivities are back at Fontana High school. The main stage entertainment starts at 5pm. Enjoy face painting, stilt walkers and dance the night away with your family. Check link for ticket details. Lake Elsinore – Patriotic Parade of Lights. Fireworks after the parade. Menifee – There are no Fourth of July festivities planned. Check the local events for Riverside or Temecula. Moreno Valley – The parade starts at 10:30am-12pm. Family Fest kicks off at 2pm at Morrison Park. Perris – The City of Perris will host their Fourth of July festivities at the Auto Speedway in Perris. The event is free to residents. Event starts at 3pm. Fireworks start at 9pm. Riverside – The City of Riverside Mayor will kick off their festivities with a Fourth of July Bike parade around the city with the IE Bike Club. The Fourth of July aerial fireworks show will be celebrated at La Sierra Park Fireworks and Mt Rubidoux Fireworks. Temecula – The Temecula City Fireworks spectacular. The park opens at 9am and Fourth of July Festivities start at 2pm. Fireworks start at 9pm sharp. Music broadcasted on KATY 101.3. There will be a lot of Food Vendors and Kids Fun Zone. Handicap parking is limited and first come, first serve. Arrive early to secure a parking spot. Victorville – San Bernardino Fairgrounds. Fireworks start at 9pm. Yucca Valley – Yucca Valley Sports Park, Yucca Valley. Fireworks start at 9pm. Follow the latest news for Inland Empire families by liking our Facebook page at www.Inland Moms or connecting with us on Twitter at @InlandMoms.